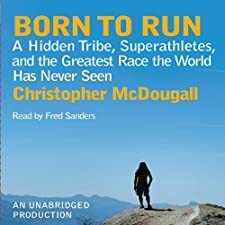 I bought this audiobook on sale from Audible and listened to it using the Audible app on my iPhone. 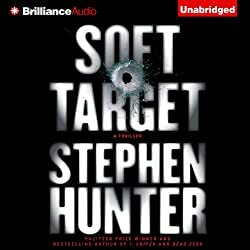 I absolutely love Stephen Hunter’s Bob Lee Swagger series of books, but after so many books they got very stale to me. It started feeling like Mr. Hunter was not trying very hard to come up with something new, so I have not read any Stephen Hunter books in a long time. When I saw this audiobook on sale at Audible I decided to give it a try. Soft Target is not a Bob Lee book but is instead about Ray Cruz, a Marine sniper who was introduced in Bob Lee books. This story just didn’t work for me, the technical descriptions of computer systems are incorrect, annoyingly so. Mr. Hunter obviously has an experts level of understanding when it comes to firearms, but until his understanding of computers reaches the same level he should avoid writing about them. The entire book feels like he is struggling to write a script for a 45 minute long TV show. New York Times best-selling author Stephen Hunter is back with another breakneck thriller, in which ex-Marine sniper, Ray Kruz, must outwit a group of murderous Somali terrorists who’ve laid siege to the Mall of America. Recently retired marine sergeant Ray Kruz has been talked into a mall trip by his fiancé, the beautiful Molly Chan. For Ray, Molly represents a way to reconnect with normal life, something his 20 years in the service and five tours in two combat zones have prevented. But now he finds himself in the middle of the softest target of all, a huge consumer mall where a self-styled "Mumbai Brigade" has come to bring massive death to the heartland. They just didn’t know Ray Cruz was in the building…. 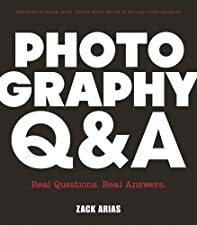 I rate this book a 3 out of 10 and do not recommend it to anyone. 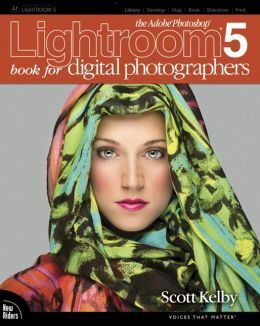 I bought this hardcover book from Amazon. I really enjoy these cheesy Doctor Who novels, they are great fast reads that deepen the mythology and add a lot of depth to the characters. This story is about the Eleventh Doctor, as played by Matt Smith and Amy Pond romping around New York saving the earth from an invading army of doll-sized aliens. Good stuff. New York – one of the greatest cities on 21st century Earth… But what’s going on in the Museum? And is that really a Woolly Mammoth rampaging down Broadway? An ordinary day becomes a time of terror, as the Doctor and Amy meet a new and deadly enemy. The vicious Army of the Vykoid are armed to the teeth and determined to enslave the human race. Even though they’re only seven centimetres high. 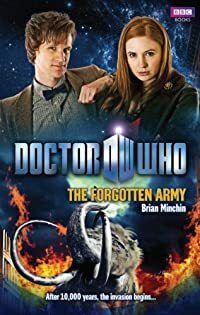 With the Vykoid army swarming across Manhattan and sealing it from the world with a powerful alien force field, Amy has just 24 hours to find the Doctor and save the city. If she doesn’t, the people of Manhattan will be taken to work in the doomed asteroid mines of the Vykoid home planet. But as time starts to run out, who can she trust? And how far will she have to go to free New York from the Forgotten Army? I rate this book an 8 out of 10 and recommend it to any fans of Doctor Who and cheesy sci-fi.